The straight answer to the question is that a married couple does not have to file jointly. Bankruptcy laws allow a spouse to file an individual bankruptcy petition. But, all bankruptcy cases are different. This affects whether a married couple should file jointly or should file separately. Deciding which way to file bankruptcy can be complicated. Factors such as the couple’s debts, assets and income need to be considered when deciding the best option. Whose name the debt is in plays a role in determining which way to file. If the majority of the debt is in the name of one spouse, it may be beneficial for that spouse to file an individual bankruptcy petition. Having that spouse’s debts taken care of may be what the couple needs to help their financial situation. But, if any of the bad debt is in both of their names the couple may want to consider filing jointly. One spouse could file on that debt, but it would only end their responsibility for payment. A creditor could come after the other spouse for the debt. Filing a joint bankruptcy petition would include individual and joint debts of the couple. This could allow them to discharge all their allowed debt and get a financial fresh start. A couple’s assets are another key factor in deciding which way they should file. If a couple does not own joint property together, it may be best if they file an individual bankruptcy petition. The other spouse will have to list all their assets in the bankruptcy documents. But, the property they own by themselves will not be considered part of the bankruptcy case. If the couple has jointly owned property, they may want to consider filing a joint bankruptcy petition. The property will be involved in the bankruptcy case. But, Alabama bankruptcy law allows a married couple to claim double the amount of property exemptions. This could be a big help in the bankruptcy case. One spouse can file even though there is jointly held property. But, the property is subject to bankruptcy rules without the benefit of the double exemption amount. Each spouse will have to give an accounting of their income on the bankruptcy petition. This has to happen regardless of which way they choose to file. The combined information can impact which way the couple decides to file bankruptcy. It can also affect which type of bankruptcy they can file; Chapter 7 or Chapter 13. 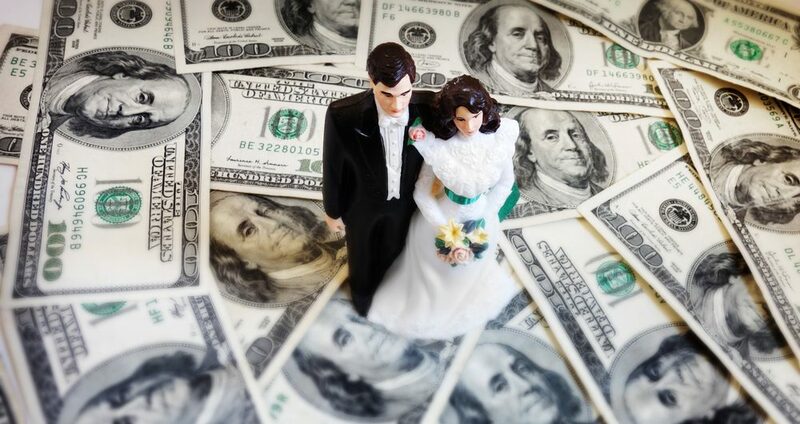 These are factors married couples need to consider when deciding to file bankruptcy. Each couples’ financial situation is different and can affect the option of bankruptcy they should take. Are you and your spouse considering filing bankruptcy? Please contact us for a free evaluation of your case. Let us see if there is some way we can help you both get the financial fresh start you deserve.